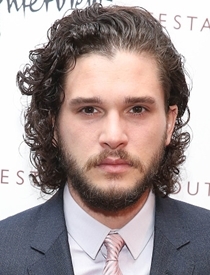 The English actor best known for his role of Jon Snow in the HBO television series Game of Thrones, Kit Harington was born on December 26, 1986. After first developing interest towards acting by watching the production of play Waiting for Godot, Kit began performing in school productions and later decided to attend drama school in order to polish his skills. While still in drama school, the actor gained initial recognition through his performance in different plays but his career suddenly took-off when he landed the role of Jon Snow in the TV series Game of Thrones during 2011. It was his first television role and with the huge success of the series, he also gained huge amount of mainstream success. While Game of Thrones still remain his most successful project, Kit Harington has also appeared in a couple of other TV shows along with films like Testament of Youth, Pompeii, Seventh Son, and Spooks: The Greater Good. While when it comes to the personal life of the actor, Kit Harington has remained in an on-and-off relationship with actress Rose Leslie from 2012 onward. 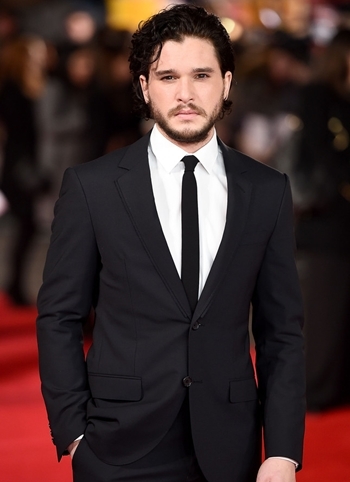 The actor Kit Harington body measurements complete information is listed below including information about his height, weight, chest, waist, biceps and shoe size. The actor loves to watch horror movies. Kit is scared of flying, injections and spiders. He shot the entire season 3 of Game of Thrones with shattered ankle. Prior to falling in love with acting, Kit Harington actually wanted to become a cameraman or journalist.